June 19. Before the election of the President of the Russian Federation, the Russians hoped to improve the economic situation in the country, but the April collapse of the ruble, new reforms and rising gasoline prices have deprived citizens of any hope for a better future. After the presidential elections, the expectations of Russians regarding the prospects of economic development have worsened, experts of Ranepa say on the results of monitoring of the economic situation and social well-being of citizens. The experts stated the conclusions in the article "social well-being of citizens before and after the presidential elections". From January 2017 to March 2018, Russians were inclined to believe that the economic situation in the country had stabilized. However, in April 2018, everything changed. 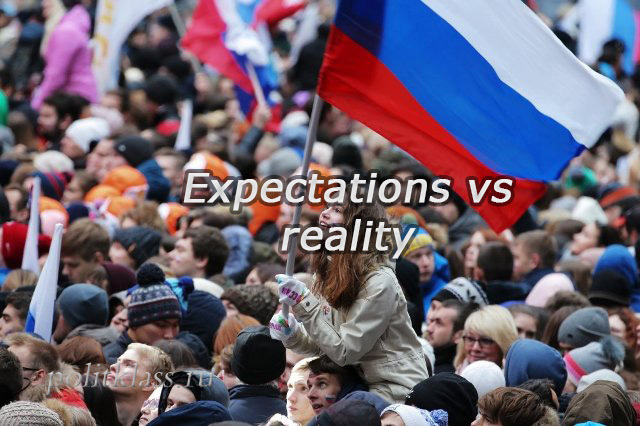 The Russians have become more pessimistic about the future. The experts of the Russian Academy of national economy conducted a survey in 8 stages during the year, the study involved more than 1,800 people living in 50 regions of the country. At the end of 2017, the number of people who believe that the economic crisis is over exceeded the number of people who believe that the hard times in the country are still going on. In November 2017, 61.4% of respondents believed that the economic situation in the country has improved and will not change. In March 2018, against the backdrop of the presidential elections, the mood of citizens improved even more. The number of people who believe that the economic situation in the country has deteriorated has decreased by almost 10%. In March 2018, the Russians were full of hope for the rapid improvement of the situation in the country. During this period, Russians were less afraid of delays or non-payment of wages, as well as loss of work. The reason for such optimistic sentiments, as experts of Ranepa note, was the "optimistic attitude of voters" against the background of the presidential elections. However, after the elections were held, the optimistic mood subsided. 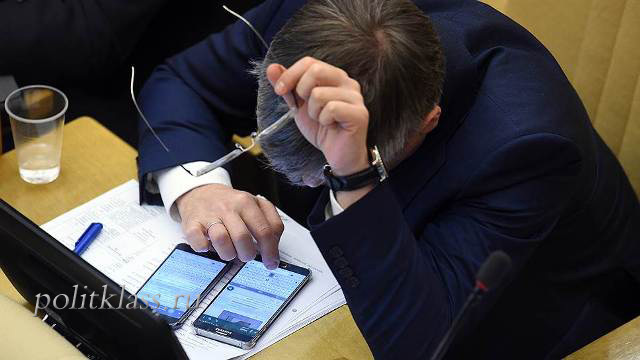 The Russians again began to look into the future with pessimism. The share of citizens who notice the deterioration of the economic situation increased by 8 percentage points, by 12 percentage points – the share of citizens who are confident that positive changes in the next few years should not be expected. The improvement of public sentiment in March was temporary, and was caused by large one-time events, such as the presidential elections and payments to public sector employees. However, to talk about the fact that people with a positive look to the future, it is impossible. According to experts of Ranepa, the Russians simply began to perceive their situation "less badly". We should not wait for the resumption of the positive mood of citizens in the near future, experts say. In April, the social mood of Russians deteriorated due to the introduction of new sanctions by the us Treasury. The sanctions caused a new round of devaluation of the ruble, which was quite noticeable for the Russians. Such large, socially significant topics significantly reduce the positive attitude of citizens. According to experts, the citizens will start to react to these changes not immediately, but approximately by September, after the end of the period of holidays and events related to the world Cup. So far, the perception of these changes will soften the summer holiday and the decline in prices for some goods (for example, vegetables and fruits).